Dining in style has been inspired by the truly amazing views and sunsets over the Andaman sea. As they say, it’s all about ‘location’. Well, you can’t get much better than ‘Twilight Sky’ at The SIS Kata. A 100% chill out zone whilst experiencing some of the best sunset views in Phuket, boasting some of the best views across Kata beach to the Andaman and beyond with home-made creation by Chef Sonthaya. We trust that all our guest will enjoy an amazing dining experience plus the stunning views on the ‘Sunset terrace’. The perfect combination for a perfect dining experience. Chef Sonthaya and the team invite you to come and experience some new creatively hand-crafted dishes enriched by using both hot and sea salt cold stones, as on the signature dishes. 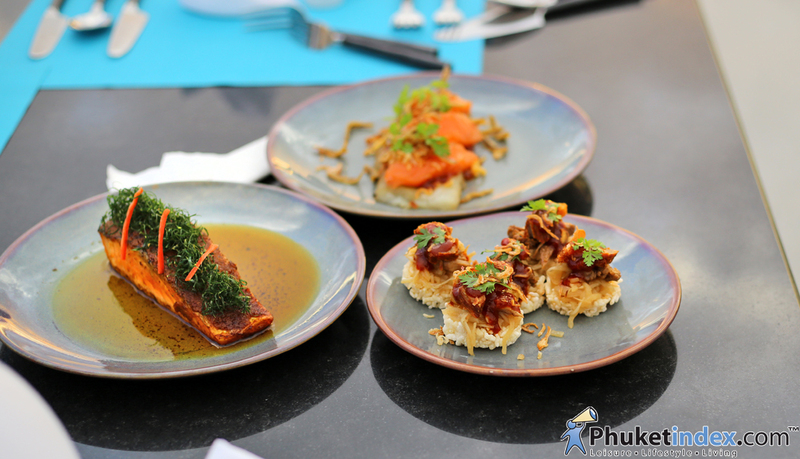 Local Phuketian Thai Food also forms part of the gastronomic menu. Open time: 17.30 – 24.00 hrs.